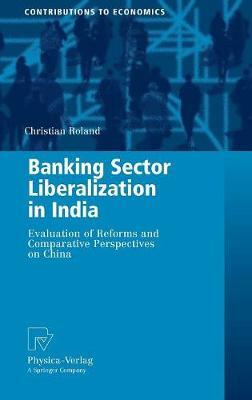 This fascinating and timely work explores in detail the changes in the Indian banking sector over the last 20 years, and puts them into a comparative perspective with the Chinese banking sector. For this purpose, the author develops a detailed indicator-based framework for assessing the liberalization of a banking sector along various process steps based on financial liberalization and transformation studies. The key finding is that while liberalization has improved the sectoral performance, it has so far had no effect on the macro level.